So as you may have noticed in my recent posts, I've not been a total ginge but I've got dip dyed hair. I watched loads of tutorials on how to do it but all of the people doing it had brown hair and I couldn't for the life in me find one of a ginger person doing theirs so here's one for all you gingers. 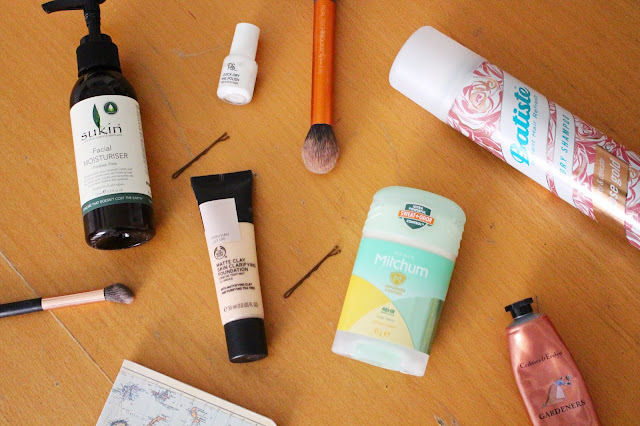 I think this post will be useful for you red-headed gems because this process wasn't easy for me and it may not be easy for you (sorry but you need to be warned) and my hair did not come out exactly how I wanted it. 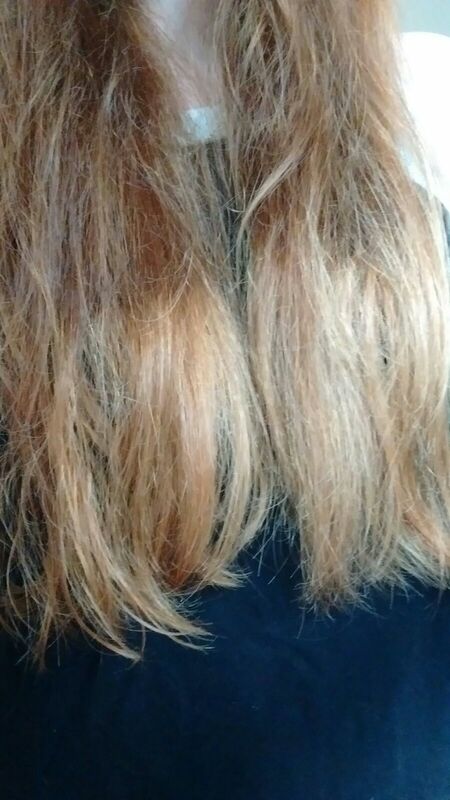 First of all picking a colour to dip dye it was hard because nothing really matches ginger hair that well. In the end I just picked a colour that I liked and eventually decided on lilac. Part One: Bleaching You will need to bleach your hair so it's light enough for another colour to take to it properly and so you get the colour that you want. I used Garnier Nutrisse Ultimate Lightener D+++ as it said it would make your hair up to 8 shades lighter and I'd heard good reviews and seen good results on youtube on people with dark hair. However my hair just went a lighter shade of ginger and was really brassy even after using purple shampoo and the blue conditioner that the bleach came with. I had also missed a few bits because I am a total noob at dying my hair. This meant I had to re-bleach it later on that day. This time I had help from someone who knew what they were doing and she used the Jerome Russell bleach. This left me with much blonder hair but still not as blonde as you would expect, especially since I'd bleached it twice. This makes me think that DIY bleaching on us gingers might not be an easy job (hence my 2012 dip dye fail). I'd suggest going to a hairdresser if you can afford it (I cannot). Part Two: The Dying. This was the most difficult part. I used the Crazy Color dye in Lavender since, once again, I'd heard good reviews. 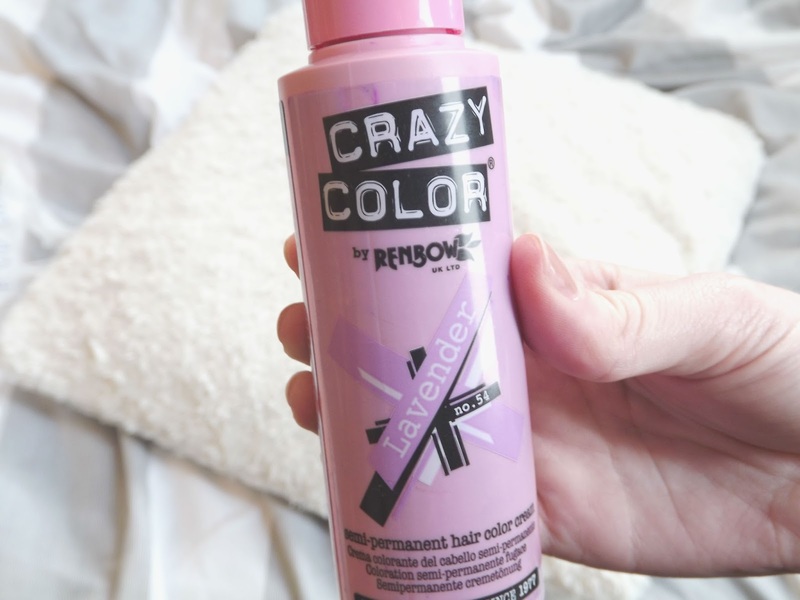 You apply Crazy Color dye to towel dry hair and leave it for up to 30 minutes. The first time I dyed it literally nothing happened and I put it down to my hair being too wet and not towel dried enough because I was doing this late at night. The next two times (yes two times) I ensured my hair was suitably towel dried. These two times the dye simply acted as a toner and left my hair blonder and less brassier and with only the slightest hint of purple but barely noticeable. Disappointed but with some product still left, I sampled some on a strand of dry hair. Low and behold it worked so I soon covered the rest of my dry locks. I did this twice over a few days. Not all of my hair was lilac, on some parts it again simply toned it so that it was white/almost silver whilst other parts were indeed lilac. 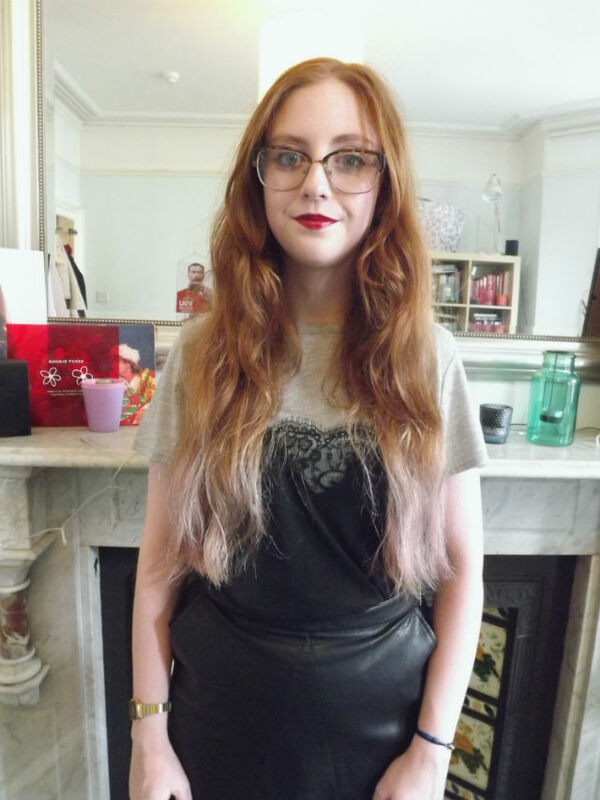 This was the closest I came to having dip dyed lilac hair. Within another wash most of it washed out, leaving my hair patchy. Part Three: The Verdict. People dip dye their hair all the time using the same products and it works perfectly fine which makes me think that ginger hair is a difficult hair type to dye, particularly bleach. I don't think there was anything wrong with the make of products that I used, since my boyfriend dyed his hair blue with Crazy Colors and it worked wonderfully. I'm not going to give up trying to dye my hair but I will perhaps try a different colour and see how that pans out. Advice: If you're a ginge and can afford to get your hair bleached and dyed professionally then do it, if not proceed with caution as it may not work out for you the first time. Hi, I am a natural ginger ask and was wondering if the products you used worked on your hair and if you would suggest trying it?